Man oh man owning your own business is such a rollercoaster. Maybe it’s because you feel obligated to always think about your business, or maybe it’s just instinct. If you are your only employee, maybe it’s because you have so much time to think by yourself so your inner voice can be extra loud. Either way, it’s super easy to have ups and downs emotionally and feel like you’re in a rut sometimes, especially if your business is seasonal like wedding photography in Ohio. Today I’d like to share some tricks I use in my off-season to create my own momentum. Changing focus and investing yourself in something other than those negative voices will literally change your life and your business. Please use the comments section to let me know what tricks you use also! I’m always looking for a good life hack! I would say this is the one thing that helps most in owning a small business. Good reviews can help you emotionally feel good about where you’ve been and get you excited for what’s to come. It’s super great for your business and SEO. It’s also going to build an online trust-factor for your company. Reviews are the word-of-mouth you can trust from people you don’t know. I know I’m constantly looking up reviews for everything from gutter repair to restaurants to see how other peoples experiences were. If you think you did a great job for a client you love, there’s no harm in asking for them to share their feedback with the world. There are also review-based awards like “The Knot’s Best of Weddings” which you can proudly display and let those good reviews speak for themselves. I’m addicted to my notes app- you know, the plain one that comes with your phone. It keeps all of my train of thought ramblings, my blog post ideas, and most importantly, an on-going to do list. I learned to become a list-maker when I was in elementary school and had trouble concentrating on homework. It has since been a fundamental part of everything I accomplish. I think the act of writing something down, aka taking it out of just the thought realm, brings a new life and certainty to it. It helps to clearly define a direction you’d like to go and makes that first step of making it become a reality. There’s a lot of great resources out there that can help you build your self note-writing skills. 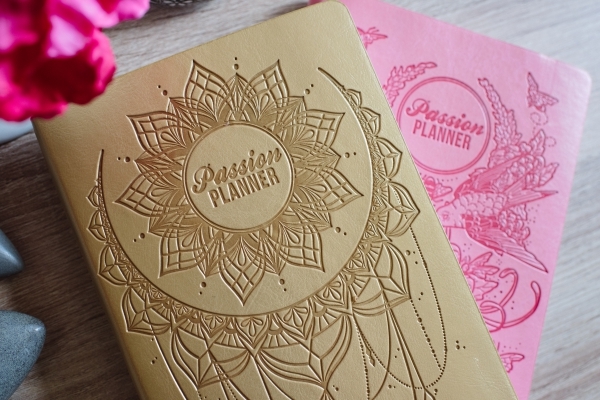 I use the Passion Planner daily planner to develop clear broad paths I’d like to go in both my personal and professional life. This is 100% not an ad. I’m just letting you in on one of the game-changing tools I’ve used the last four years. So much of owning your own business is looking inward and figuring out what you really want to accomplish with your life and work. This little book gives you the step-by-step guide on how to pinpoint what your goals for the year should be. 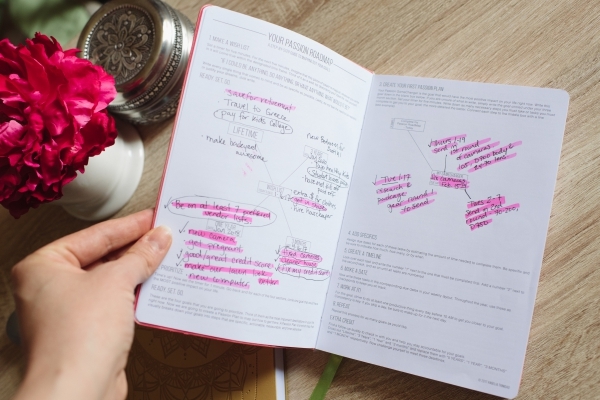 The creator of this planner believes in it so much that she even gives it away for free as a downloadable PDF. I have to say, I just love the covers of the books so I buy mine each year. It’s a little package of endless possibilities! This is such a great, challenging process that has filled my soul with such joy and appreciation. Blogging forces you to stop and dissect each shoot. What it meant, what that brief moment in time was like, and how it felt to be there. In a lot of ways, when I blog about a shoot I’m living it over in my mind which does a couple of things. It helps you remember the details better. Let’s face it, a lot of times you don’t know your subjects very well so blogging about them can sometimes feel overwhelming. What do I say about people I don’t really know that well? When you make it a practice to write about the experience, you’re almost building a muscle in your brain that can recall, describe and be more present in your everyday life. You start to notice things that maybe only people in intimate relationships tend to notice. Like the little squint someone might get when they’re genuinely smiling. 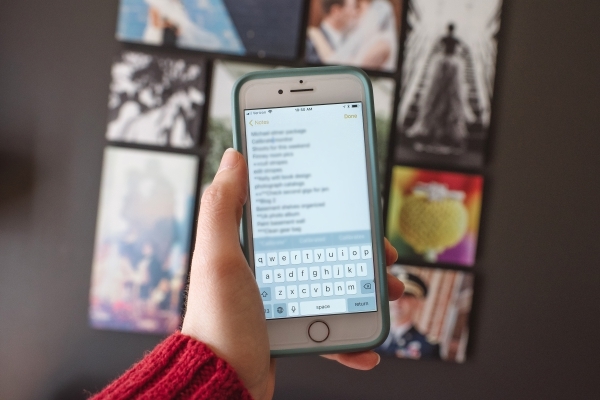 I also try to use blog posts as love letters. Sometimes I see photographers gifting clients with actual gifts, and I suppose that depends on what your love language is (Google this if you haven’t heard about it). But my love language is Quality Time. Writing thoughtful and loving blog posts is my way of spending quality time and sharing love with people. This is the most genuine way I can relate to the outside world. Through blogging, I’m trying to continue to build a deep and meaningful relationships with my clients and let them know how much they mean to me. Oh man, this is a big one that I often get caught up in. It’s in the nature of the business that you don’t get every wedding that comes through the door. Because of that, it can easily feel like the world is against you sometimes. When I start to feel like this, I’ve taken to crunching numbers, and often feel a lot better when I can visually see the upward trends I’ve been taking my business over the past few years. Keep track of the numbers when it comes to leads, consults and booked weddings. When you first start out, maybe the industry came easy to you and as you raise your prices, you find yourself booking less. Are you still making more money? If so, then consider it a success. This is a good trend that often can feel like a failure. You expect to book the same number of weddings at a higher price the moment you up your prices. Unfortunately, sometimes that can take time. How many weddings have you sold each year? If you shot a ton of weddings three years ago compared to what you have booked for this year, that can feel like a failure. If you dive in and see that you actually booked a record number of weddings last year but they were spread out over two years of shooting, then you’ll realize you’re still on an upward trend for selling. The key is to keep your eye on the big picture (pun totally intended). Blog twice a week with at least 300 words about the shoot or an interesting topic, Instagram every day and repost all to Facebook. If you aren’t doing at least that, consider yourself having some homework to do. And no, I’m not the best at consistency either. The idea is present over perfect. Strive for these challenging goals. Sometimes social media can feel a lot larger and more of a task than it actually is. I know so many people who find blogging overwhelming. Posting to Instagram every day? I don’t even make my bed every day so how can I find the discipline for this? I think the key here is breaking everything down into manageable pieces and not feeling like you’re doing everything at once. For Instagram, I use the app “Preview“. 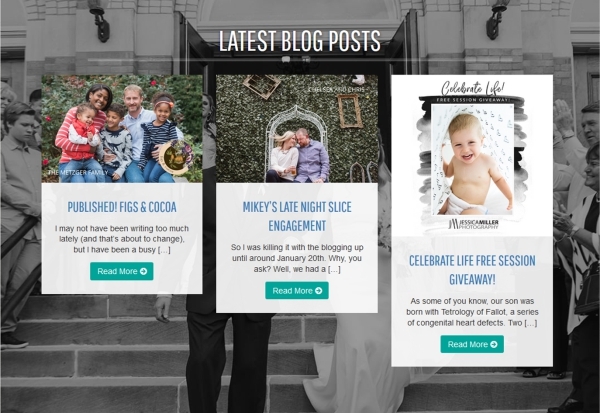 You can easily plan future posts, make hashtag groupings, and move posts around so they look cohesive on the page together. For blogging, I break up my actual writing of it over the course of a week. I try to post Tuesdays and Thursdays. So on Monday, I’ll put the photo collage together for Tuesday’s post and on Tuesday I’ll write the text, and so on through the week. I’m not sold that Facebook is all that beneficial for social media anymore so I just use it to re-post content I’ve posted elsewhere.